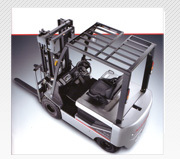 There are a wide variety of different industries that make use of forklift trucks. These industries include the construction industry and manufacturing, as well as transport and logistics companies. Each of these companies is looking to maximise their return on investment in the forklift fleet that they are running. One of the ways that they can increase their return on investment is by making sure that they purchase the most reliable forklifts that money can buy. These companies will therefore always be on the lookout for Nissan forklifts for sale, CAT forklifts for sale, Daewoo forklifts for sale or the sale of any equipment by the recognised global leaders in forklift manufacture. When companies look at Nissan forklifts for sale they will want the peace of mind that comes through dealing with not only a recognised name in the forklift manufacturing business but also through dealing with an approved reseller of these pieces of equipment. When South Africa’s leaders in construction or logistics look for a Nissan forklift for sale they will want to know that the organisation that is selling the forklift has the required personnel to service the forklift units, both when they are under warranty and when the warranty expires. The service personnel should be accredited to service the Nissan forklifts that have been purchased and the company that has purchased the forklifts should also be able to have the peace of mind that comes from knowing that these service personnel will only be using lubricants and consumables that have been approved by the manufacturer or are manufactured by the company that has supplied the forklift itself. In the event of a breakdown that necessitates the replacement of parts the company that has sought out Nissan forklifts for sale should also know that only genuine Nissan parts will be used as replacements. The failure to use only genuine parts for repairs can invalidate any warranty on the forklift. A company that is specifically on the lookout forNissan forklifts for sale will have certain expectations of not only the equipment itself, but also of the company that is supplying the equipment. 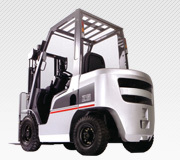 It is highly recommended that any organisation that is looking for Nissan forklifts for sale first make sure that the company that they will be buying the equipment from has all the required certification to ensure that they are able to provide the global best practice service levels that Nissan forklift owners worldwide have become used to.